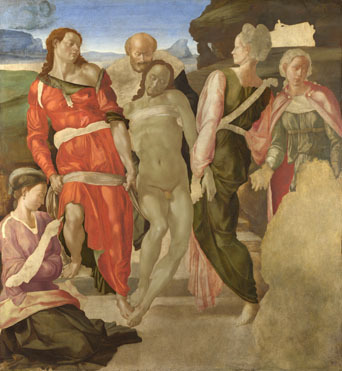 I had always assumed that The Entombment by Michelangelo was damaged. Like so many paintings, bits had simply fallen off or been badly repaired. Turns out Michelangelo just didn’t bloody finish the thing. After two years he got bored and wandered away. I mean, it is also a bit damaged – but mostly just not finished. It is hard to imagine a modern artist having the same sort of future – a half finished painting getting pride of place in one of the worlds top galleries. Imagine Yves Klein only painting half the canvas blue? Or maybe the equivalent would just be doing one coat? Somehow, I just don’t think the National Gallery would have a bar of it. The artist needs to reach mythical levels of fame before this could happen. Or at least be lucky in the history books. So, if in 500 years time the art world judges you to have been a crucial turning point – your unfinished DIY project could be could be hanging next to The Entombment. Or be plastered over like da Vinci?